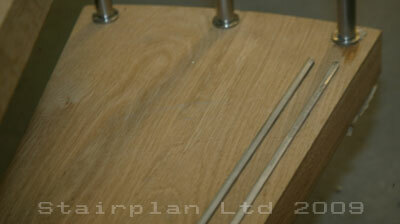 We also offer Spiral Staircases made to order aswell as the Standard Spiral staircase kits we offer. 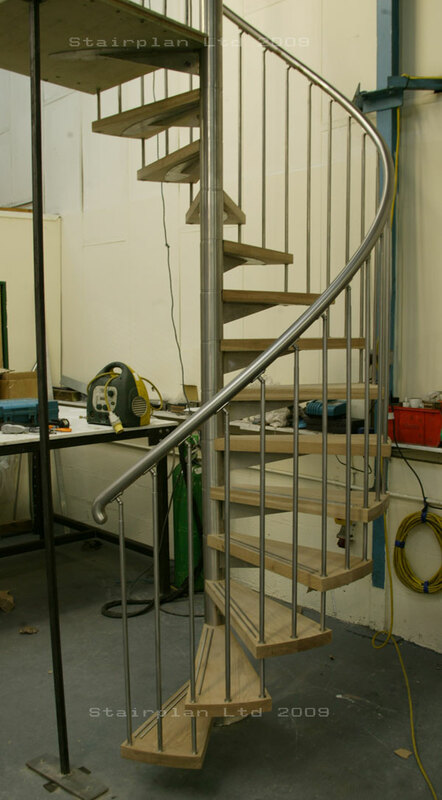 Below you will see images of a recent spiral staircase produced in Stainless steel with Oak stair Treads, we can offer spiral staircases manufactured to specific dimensions in the way of height and diameter. 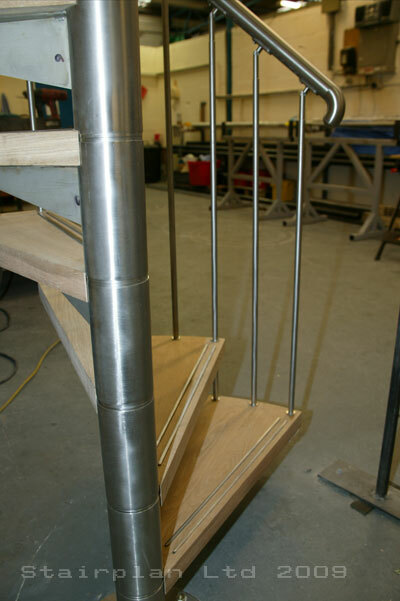 We can offer a full customisation of the staircases using Steel, Stainless Steel, Wood and Glass. The spiral staircase above is shown pre-assembled in the workshop. 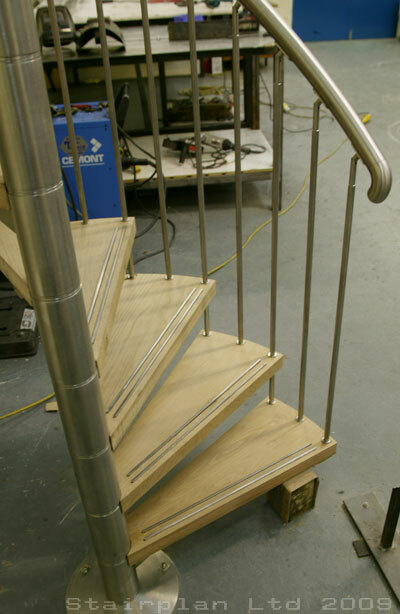 The centre pole, Handrail and Balusters are in Stainless Steel, the Treads are in Oak with Stainless Steel Non Slip strips.. 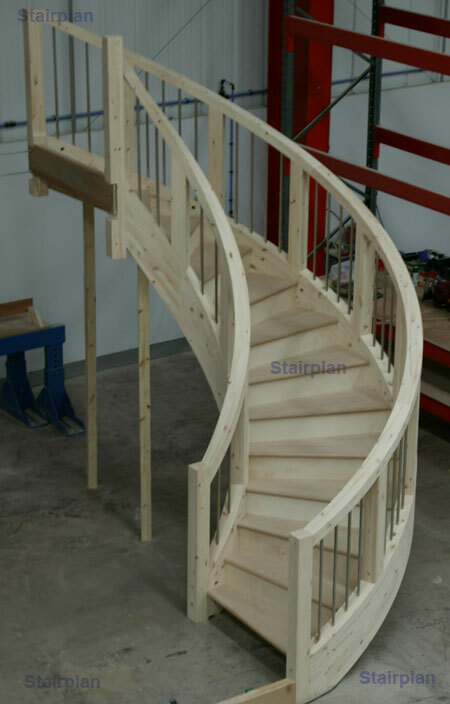 The made to measure spiral staircases give us the ability to offer you staircases that can meet BS5395 and Building Regulations Document K, whilst the kits we offer are targeted as secondary staircases for the entire european union our made to measure spiral staircases will be designed with the UK requirments being the main priority. 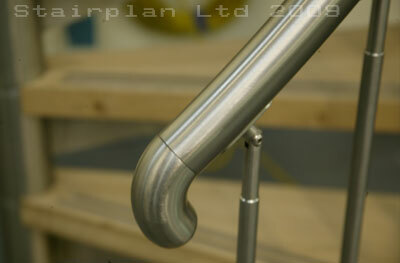 Anti Slip inserts are Polished stainless steel strips.